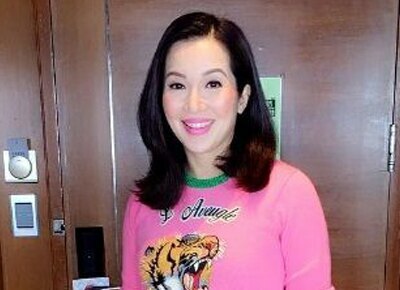 Kris Aquino finally ended months of speculation by confirming that she is indeed leaving the Kapamilya network. In a three-part post on her Instagram account during the wee hours of Monday morning, Kris told “the truth” behind her decision. “We were set to renew our contract February 2016, it was a generous, less demanding agreement,” she began. “But at that time there was a threat to my life we needed to take seriously, I had to regain my health, and I needed time for my family & me,” she said as to the reason why she did not sign the offer that the network gave her then. It may be recalled that Kris spent four months in Hawaii with her two sons Bimby and Josh due to health concerns and was advised to live a life of wellness back in March. According to Kris, the agreement was for her to talk to the management once she returns. “That is the risk of taking time for yourself- when you come back there's no guarantee that a space will be held for you. We spoke in July but there was no definite show & no assured time frame of my return on air,” she said. Kris also confirmed rumors that she is now working with APT’s Tony Tuviera, the same team that is managing the careers of Marian Rivera and Maine Mendoza, among others. It was even her manager, Tonight With Boy Abunda host Boy Abuna who reached out to Mr. T, as he was called in the business. “Our plan was initially just a digital initiative- I know you miss my #foodtrips #cooking #recipes #roadtrips #travel,” she said. But then things changed as an actual project was conceptualized. “It something new & experimental, evolved into a vision & a presentation that felt perfect for who I am now & for our TV collaboration,” Kris explained. Kris, via an earlier Instagram post, shared that she is set to start taping for a new show come September 22. She even stressed that there’s no “bad blood” between her and the owners of the Kapamilya network as she is set to move in to the home she’s renting from Manolo and Maritess Lopez. In end, Kris expressed her gratitude to her now former network that has been her home for 20 years. “So here's a shout out of THANK YOU to the Kapamilya Network ABS-CBN for all that was, and here's a shoutout of THANK YOU to my new APT family for all that will be. And most of all my THANK YOU to all of you for allowing me to just be me,” she ended.